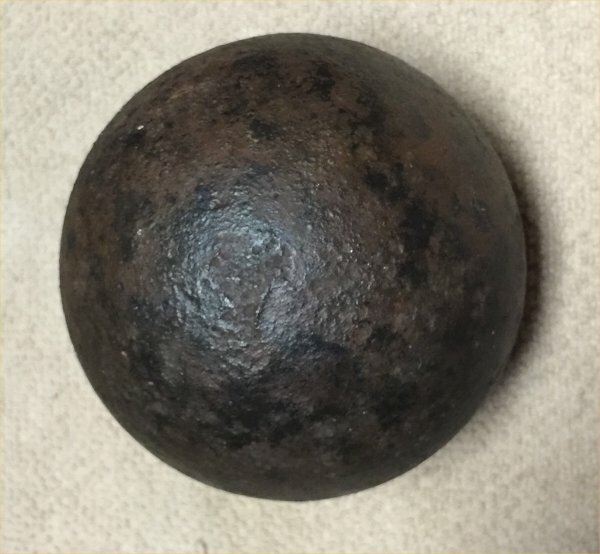 Description:This is a very nice 12-lber wood fuse ball used at the Battle of Vicksburg. 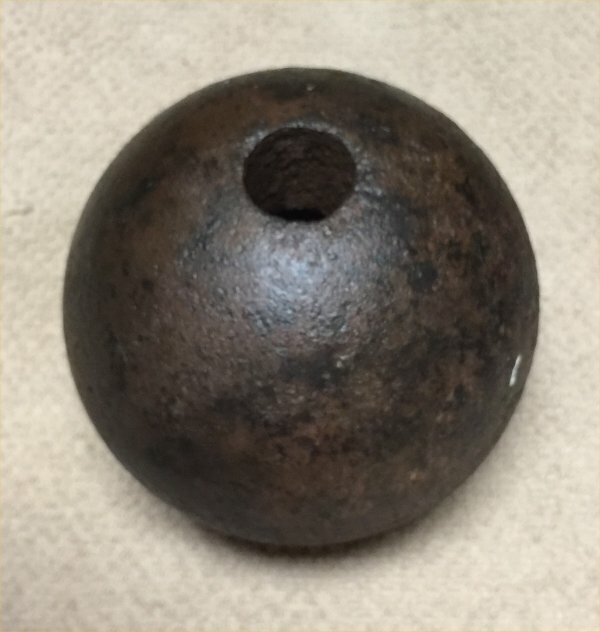 This ball is a common shell (i.e. no case shot) with a clean smooth interior and not a polygonal cavity. The iron is very good with a very clean fuse hole. The shell was hand cleaned and would clean up a bit better with electrolysis.